If the Reference Settings is enabled in your account, you will be able to add extra status, priority, types, and others related to all sections of the system such as leads, projects, accounts, tasks, etc. Click the actions to edit. Click on Plus icon which will populate a new line to add a new status. Type the name and the description of the status and save. 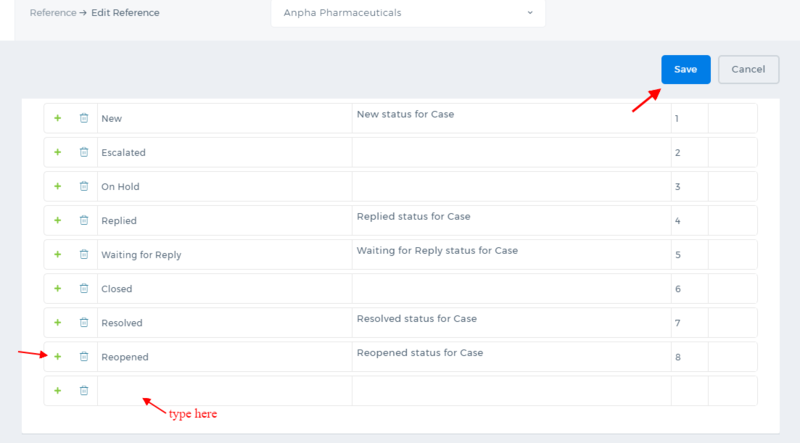 Once you save the changes, the new case status will be available in the Cases. The Reference Settings is not available by default. To enable the feature, contact our technical support team.